Discuss the benefits of providing glare control and solar heat gain reduction for occupant visual and thermal comfort. 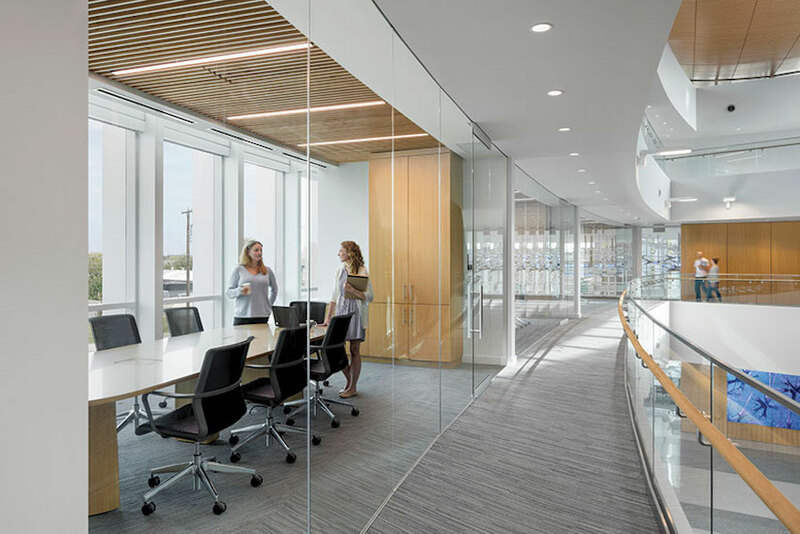 Describe how the Brain Performance Institute implemented natural lighting techniques to meet the diverse needs of occupants and visitors. Identify factors that contribute to the need for a project-specific solar control solution. Explain strategies to make an informed selection for solar control solutions. This webinar will examine the specific daylighting solutions used to provide glare control and solar heat gain reductions on projects where standard, off-the-shelf solutions were not a desired option. Richard Wilson is an architectural consultant on solar control solutions and will use his extensive experience to present several unique projects and their solutions for daylighting control. Lawrence Speck, FAIA, senior principal at Austin-based architecture and engineering firm Page, will present his work on the Brain Performance Institute in Dallas. The project used architecture as a tool to meet the institute’s goals, including spaces where clients meet with clinicians that take advantage of daylight, either admitting it or blocking it, as treatment demands. Cost: What tradeoffs, if any, are required to achieve design excellence using daylighting solutions, materials, products, and practices. In the featured projects, did using daylighting solutions add costs that needed to be recouped in other areas of the project, or did it actually reduce overall costs? 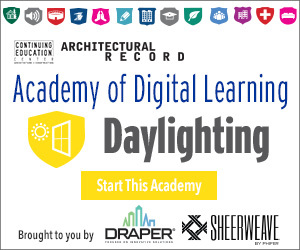 Drivers: Did the owner request a building using specific daylighting solutions, or did you, as the architects, propose it? If the latter, what led you to suggest using specific healthy materials towards the end goal? Glare control: How glare affects building occupants and why glare control is an important consideration for occupant visual comfort. Solar heat gain: What are some optimal strategies for improving occupant thermal comfort using daylighting techniques? What are the associated building heating and cooling cost savings? Unique daylighting: Off-the-shelf solutions for daylighting control do not always meet project goals. What other ways are there to provide cost-effective solutions? Richard Wilson, Architectural Consultant, Solar Control Solutions, has been actively involved in the solar shading industry for more than 25 years. His roles include managing director of Technical Blinds Limited and overseas development director of Levolux AT Limited. In 2002, Richard set up Arc Structures with a Canadian company, Nysan Shading Systems, to promote exterior shading in the North American market. Since 2013, he has been a consultant to Draper and has worked on projects with many of the leading architectural practices, including Renzo Piano Building Workshop, Foster + Partners, Gensler, and SOM. Larry Speck, FAIA, Senior Principal, Page, and The W. L. Moody Jr. Centennial Professor in Architecture, The University of Texas at Austin, is well known for his diverse portfolio of award-winning architecture and his distinguished career as an inspiring educator. As a prolific author and influential critic, his writing and ideas have influenced the general public’s understanding of the impact that buildings have on communities and the way people live, work, and play. 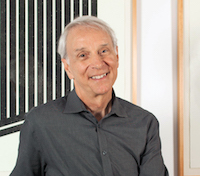 After completing two undergraduate degrees and a Master of Architecture at the Massachusetts Institute of Technology, Larry joined the faculty of the School of Architecture at The University of Texas at Austin in 1975 and served as its dean from 1992 to 2001. He has received most major teaching awards given university-wide at The University of Texas, and in 2015, he was one of four professors in the entire university system to be inducted in the Academy of Distinguished Teachers. In 2011, Larry was recognized with the AIA/ACSA Topaz Medallion for Excellence in Architectural Education, the highest honor given to an architectural educator from the American Institute of Architects (AIA) and the Association of Collegiate Schools of Architecture (ACSA).